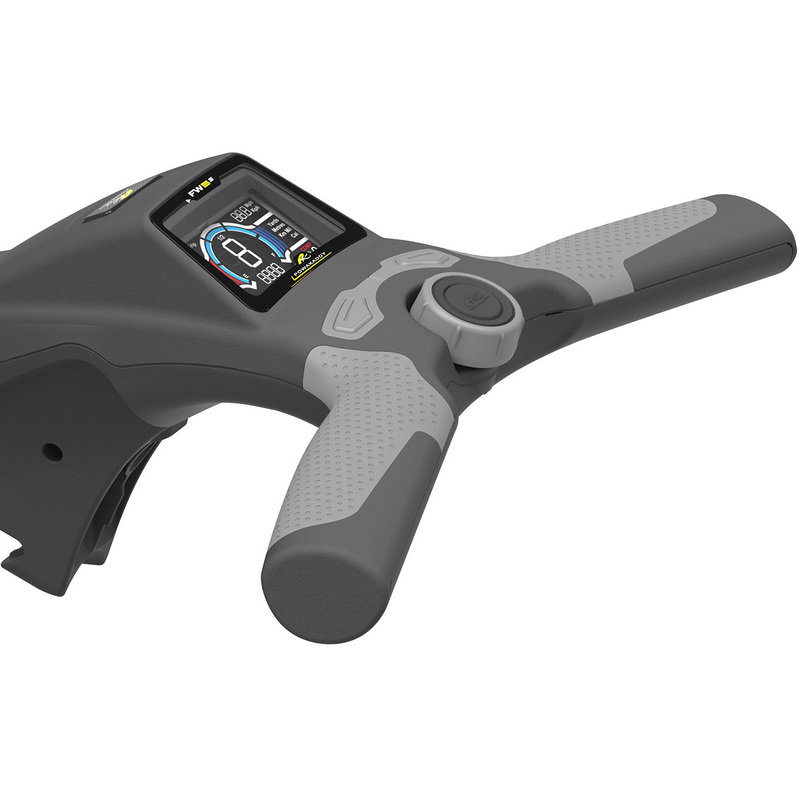 Upgrading to a NEW larger 2.8” mid-size full colour widescreen display for 2018, the FW5s offers the perfect option for those seeking added features and superior performance at a mid-price point. 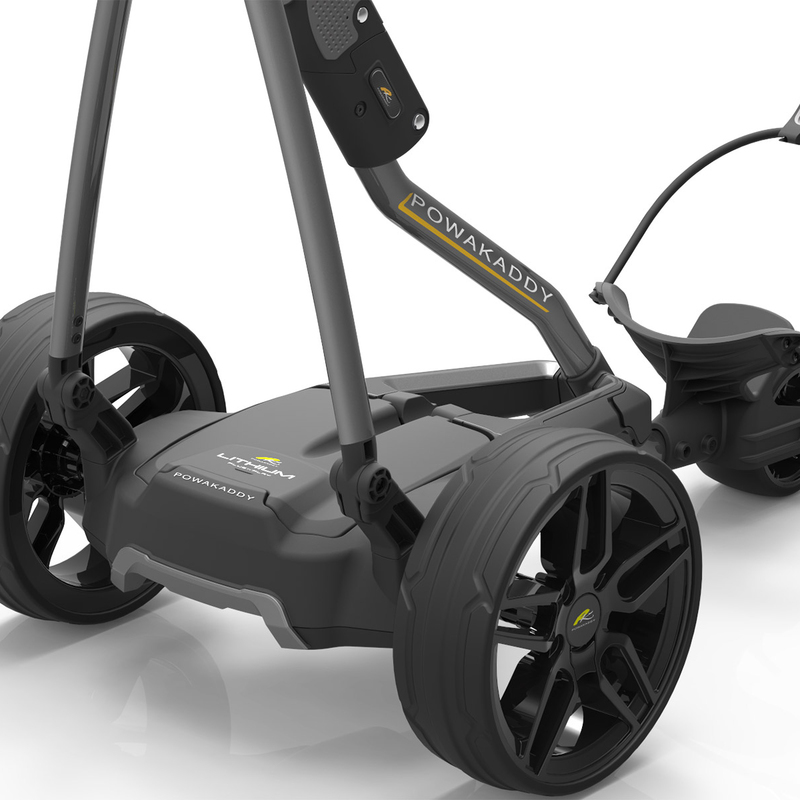 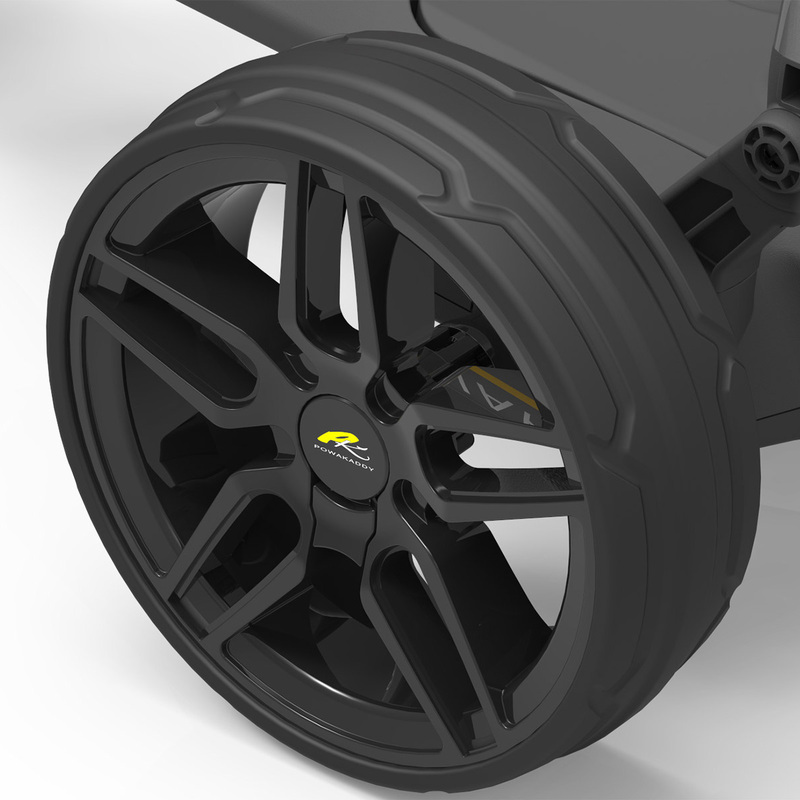 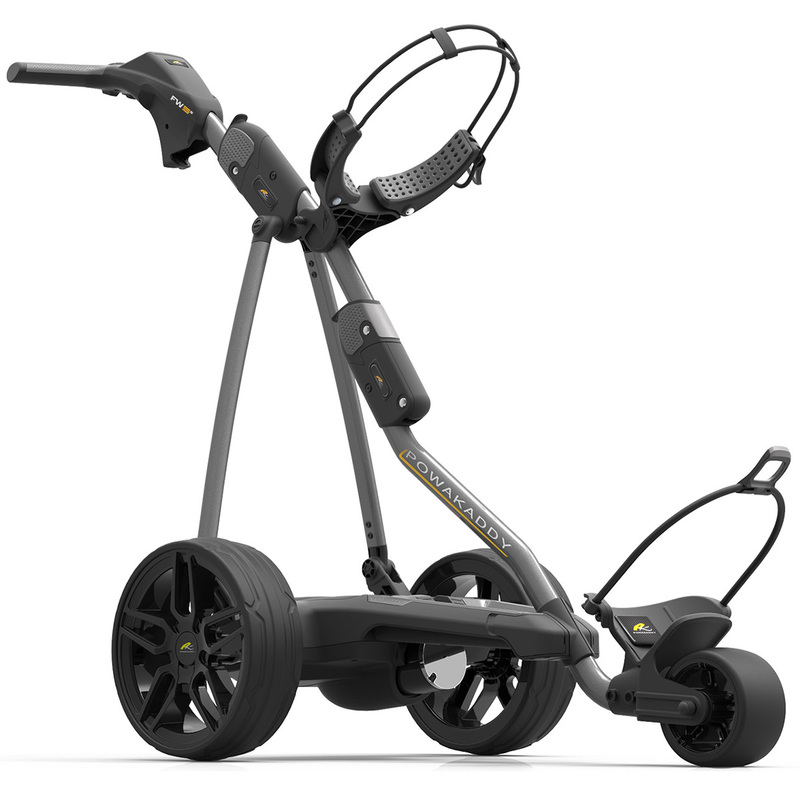 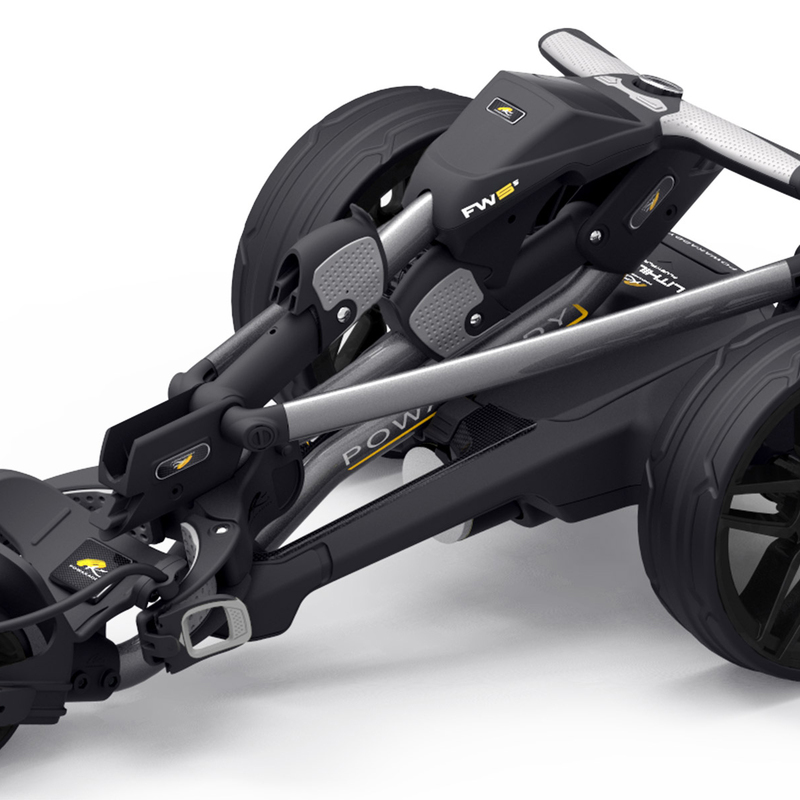 The FW5s hosts an integrated USB charging port and an automatic distance function to set the trolley off on pre-set distances. 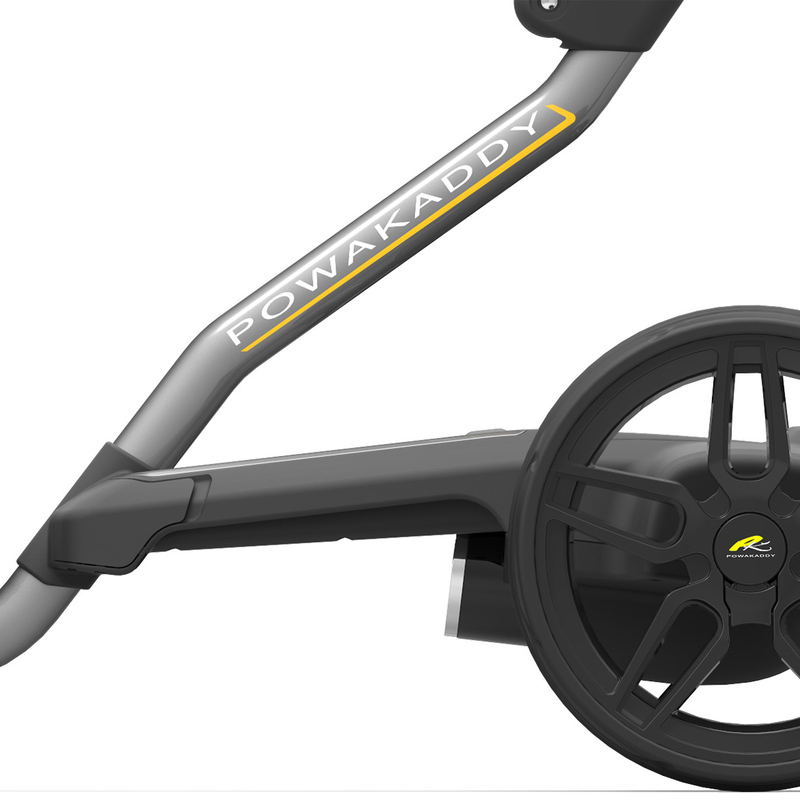 Essentials on the trolley include the handy digital power gauge to view your trolleys power settings, battery fuel indicator and a brilliant Power, Pause and Resume Function that allows you to set off at the same speed you stopped at. 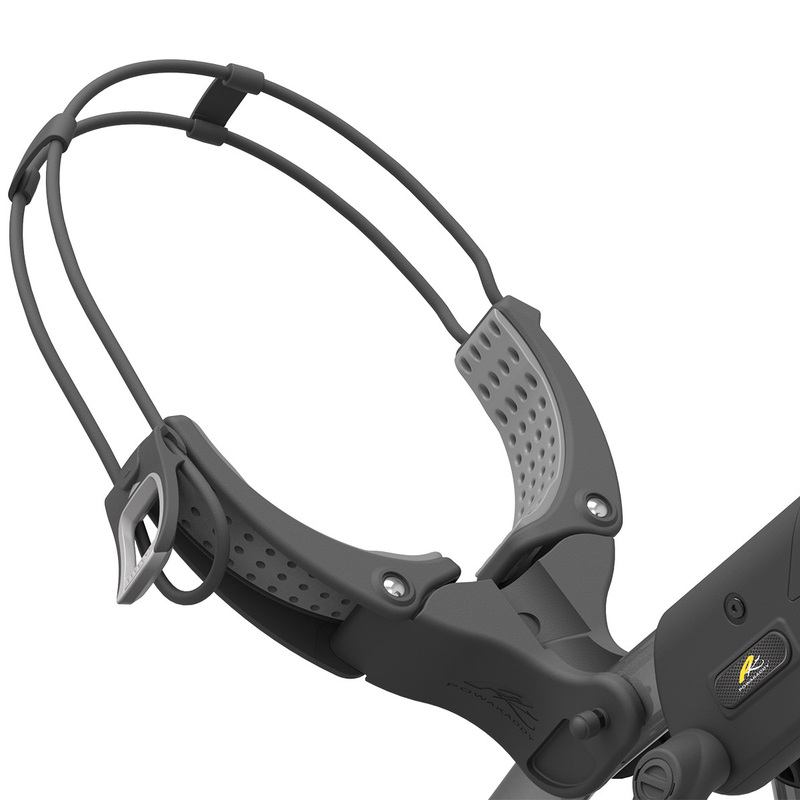 Giving you a certain level of hand free ability is ADF. 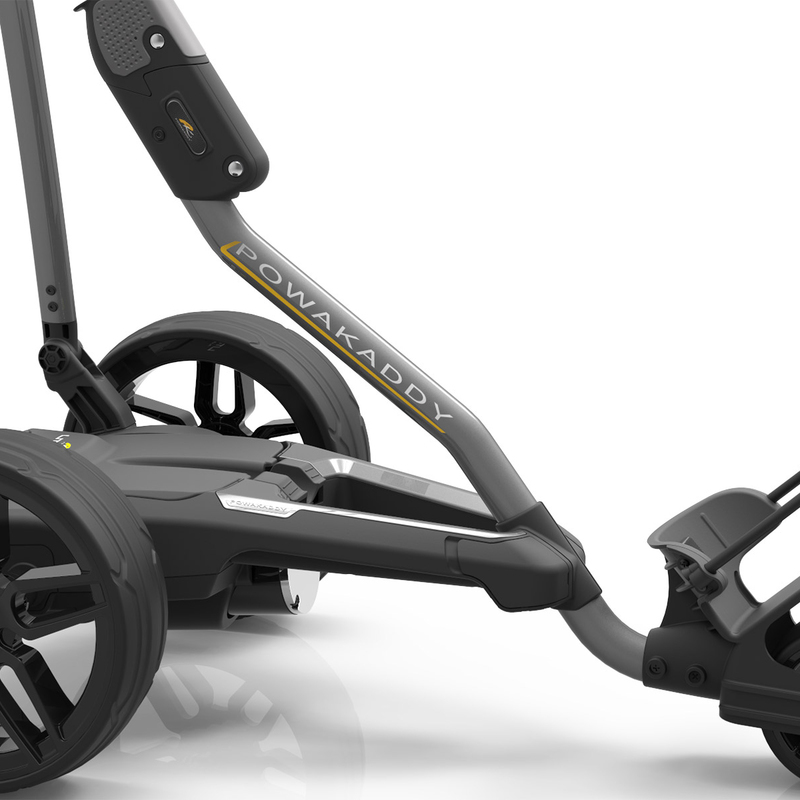 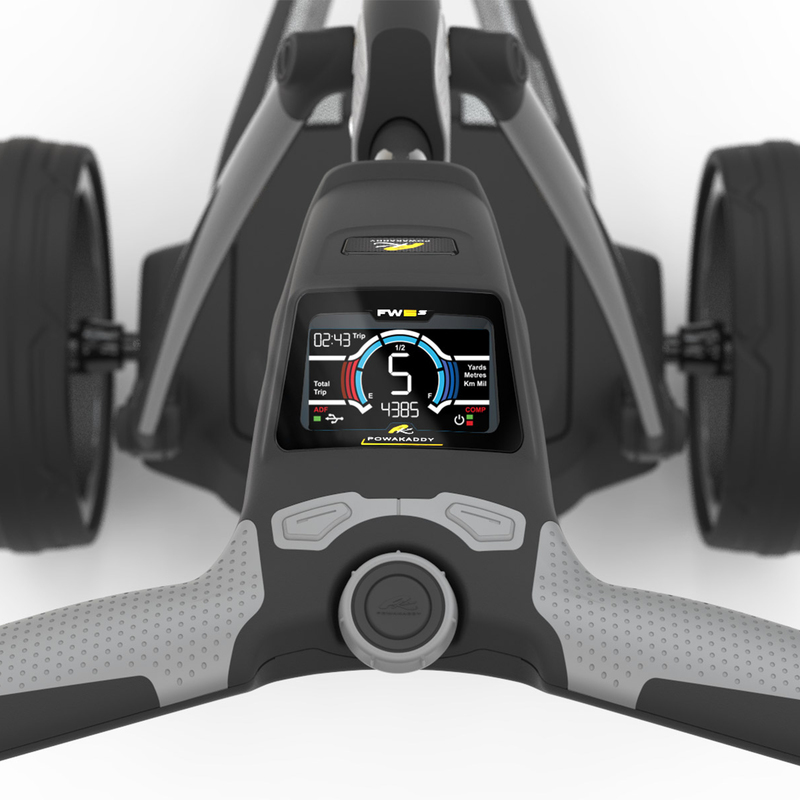 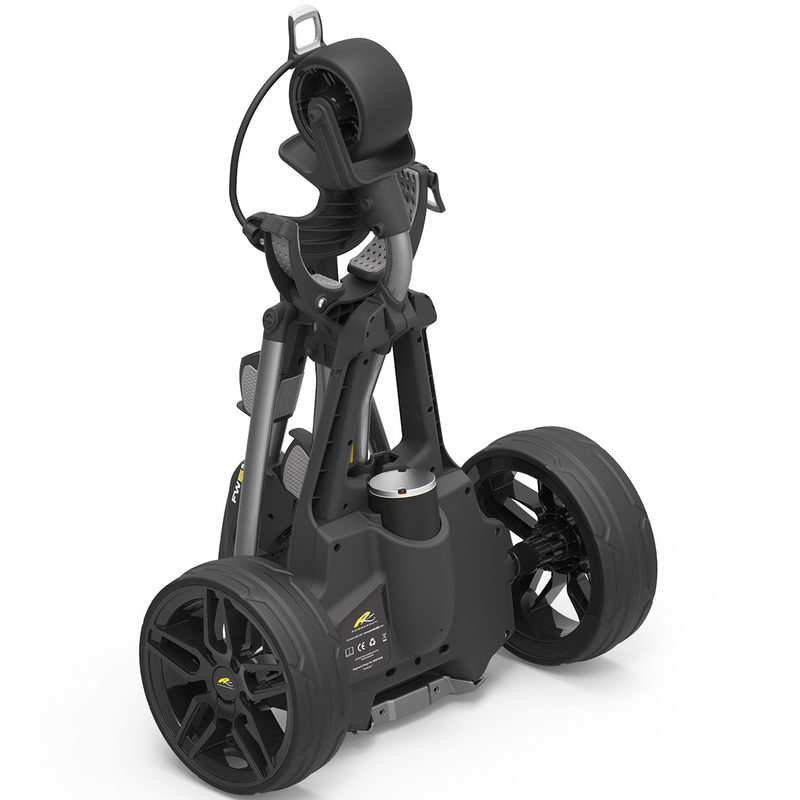 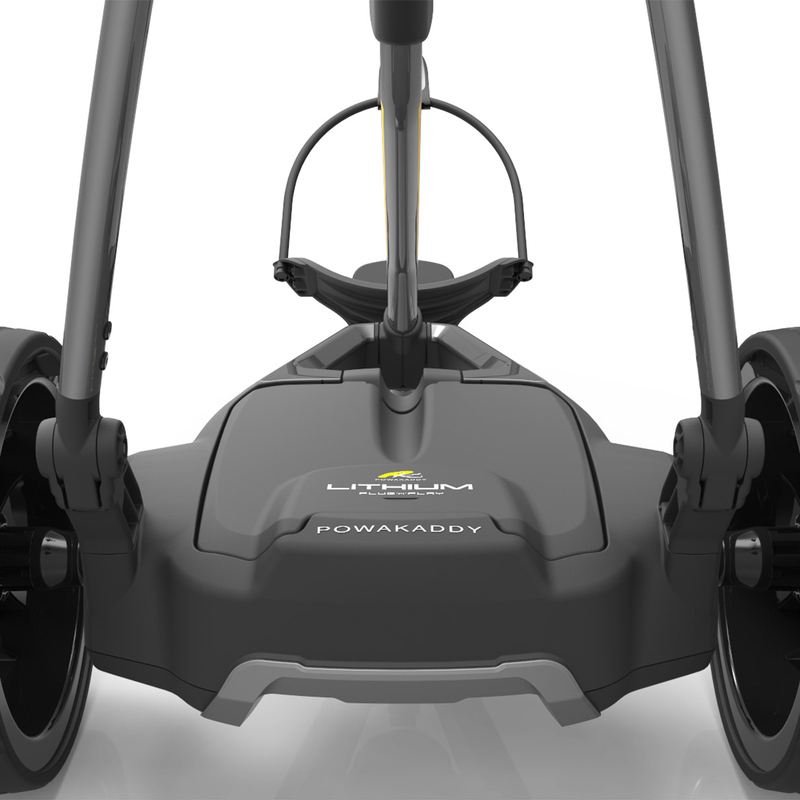 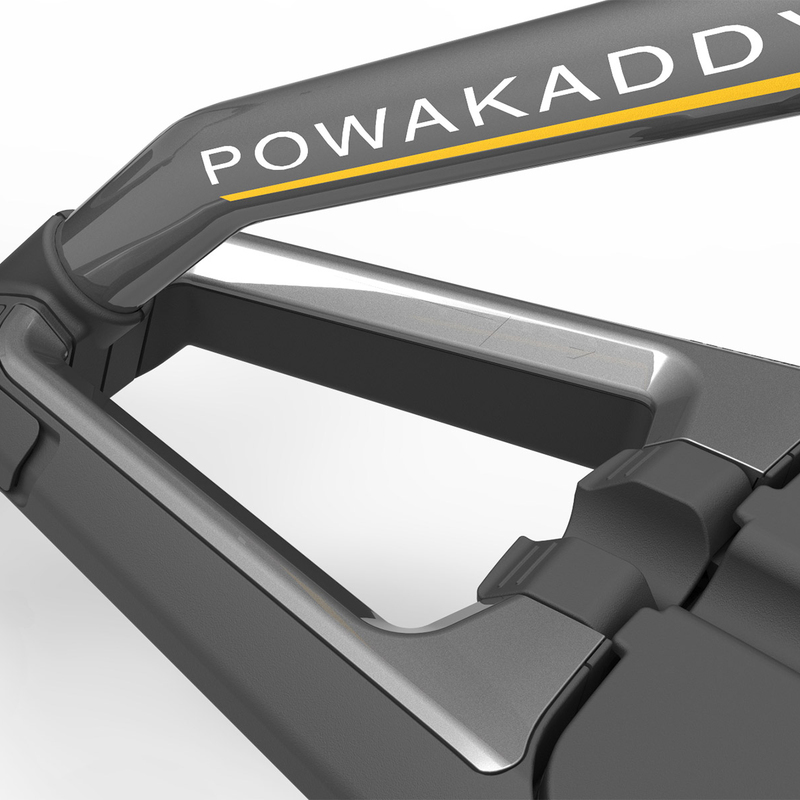 The Automatic Distance Function lets you choose from sending your trolley off ahead by choosing automatic settings of 15, 30 or 45 yards. 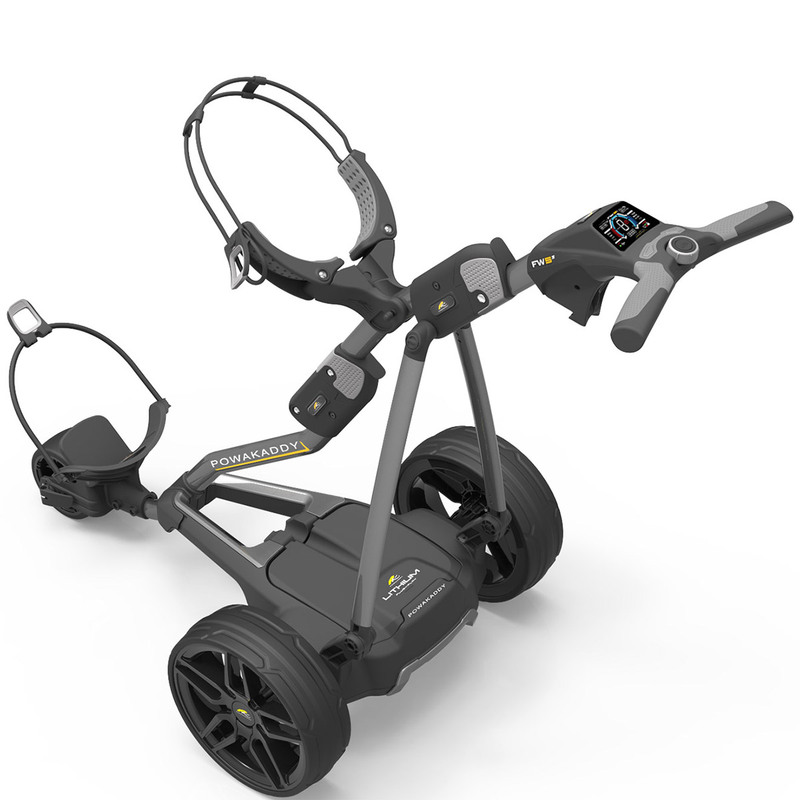 An integrated USB charging port makes your life easier with today's gadgets, allowing you to quickly charge your smartphone or GPS Device on the move and the ambidextrous control with soft touch grip and function buttons ensures for a comfortable handling for left and right handed golfers.